Performance, softness and support: the Women’s Endurus™ TR Running Shoes are ideal choice when you’re faced with tough trails. 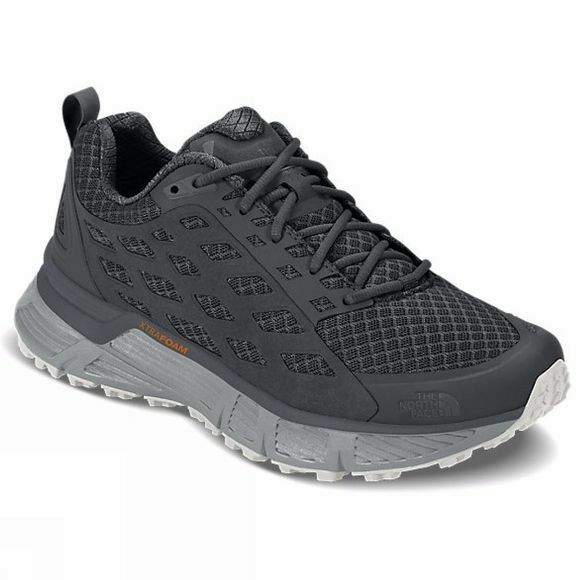 However jagged the terrain gets, rely on the XtraFoam™ midsole to deliver maximum comfort, support and durability – it’s a new innovation from The North Face® that resists repeat loading and recovers its original state. A high-traction Vibram® outsole provides top grip on all surfaces, while FlashDry™ fabric on the collar helps fend off blisters and sweat for a pain-free ride.